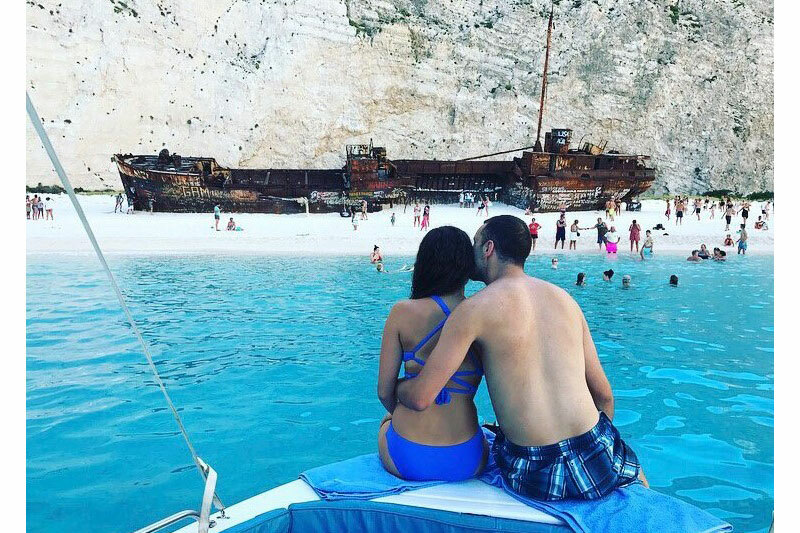 We have created two routes (Shipwreck-Blue Caves and Myzithres-Marathonisi) which include the places we believe every guest must visit but we are open to suggestions. You can create your own route depending on your preferences. 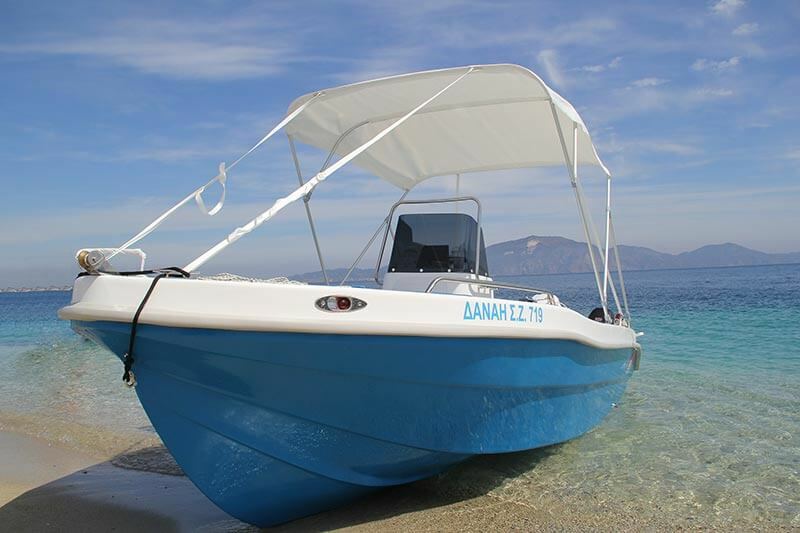 The friendly skipper will suggest the best choices and tailor the cruise to your own wishes. Every cruise is unique as are our guests. 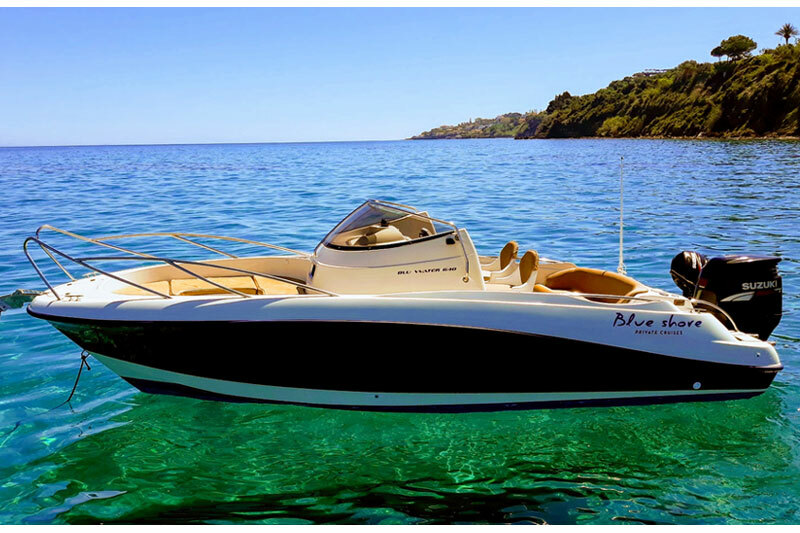 At the Blue Shore Motor Boat Cruises we offer private boat tours to the most beautiful beaches of the island of Zakynthos. You and your loved ones can enjoy an unforgettable experience as our skippers will make sure you explore all the incredible blue waters and unique rock formations the island has to offer. Have your camera ready for the photos of a lifetime! We offer morning (08:30-13:30) and afternoon cruises (14:00-19:00) as well as custom cruises that take you exploring during the whole day. All cruises are subject to weather conditions and include a well trained skipper on board. 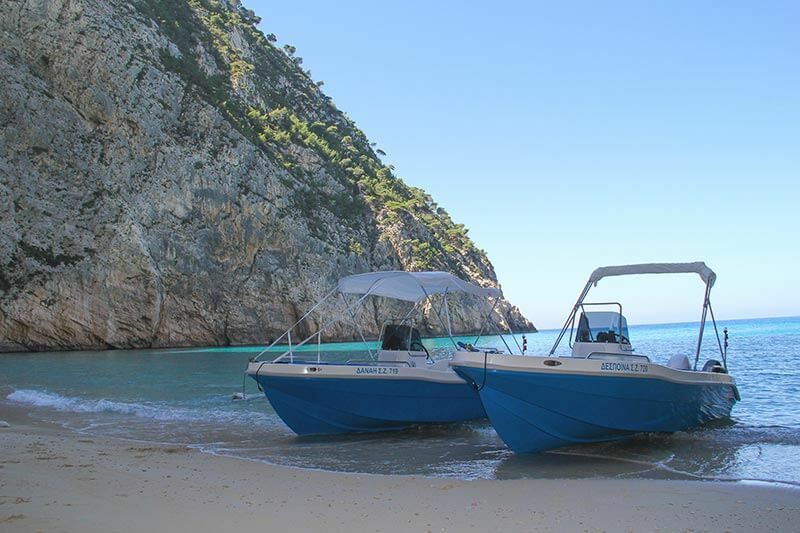 Our boats are also available for sea transportation. 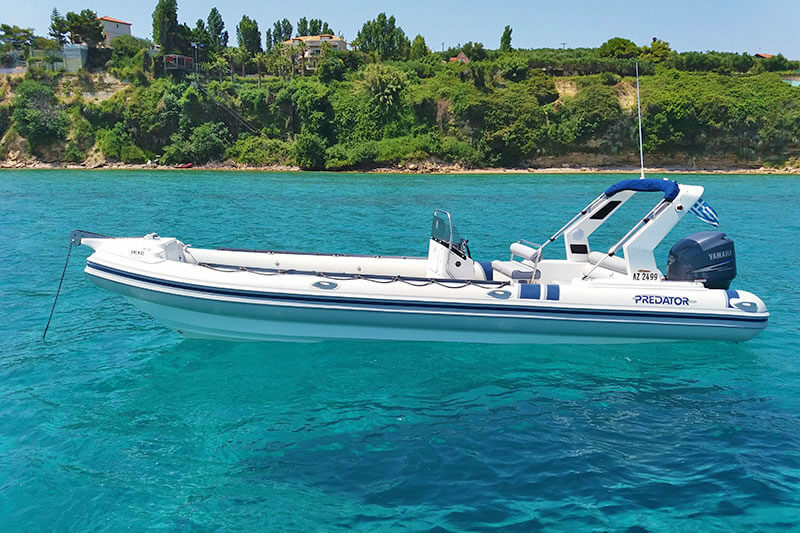 We can pick you up and transfer you to any other location or any other Ionian island you request. 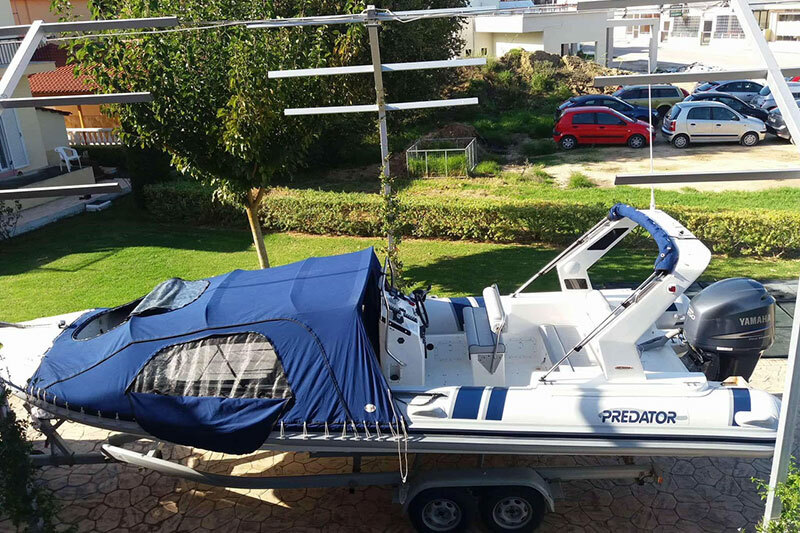 All our boats are equiped with stereo sound bluetooth connection and portable shower.